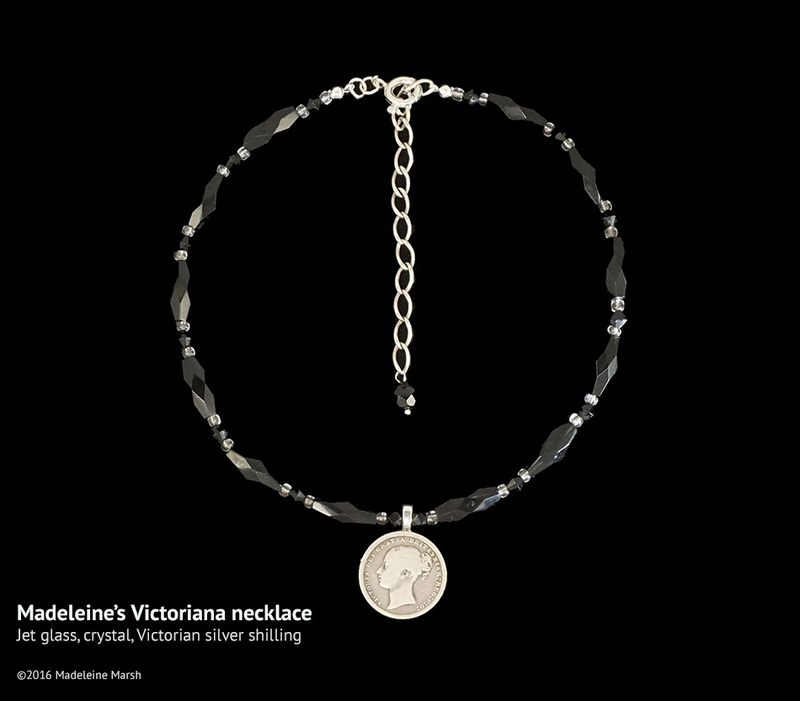 This jewellery celebrates Queen Victoria and is composed of silver shillings, sixpences and threepences struck during her long reign (1837-1901) and charting the changing face of this remarkable monarch from slender youth to veiled widowhood. 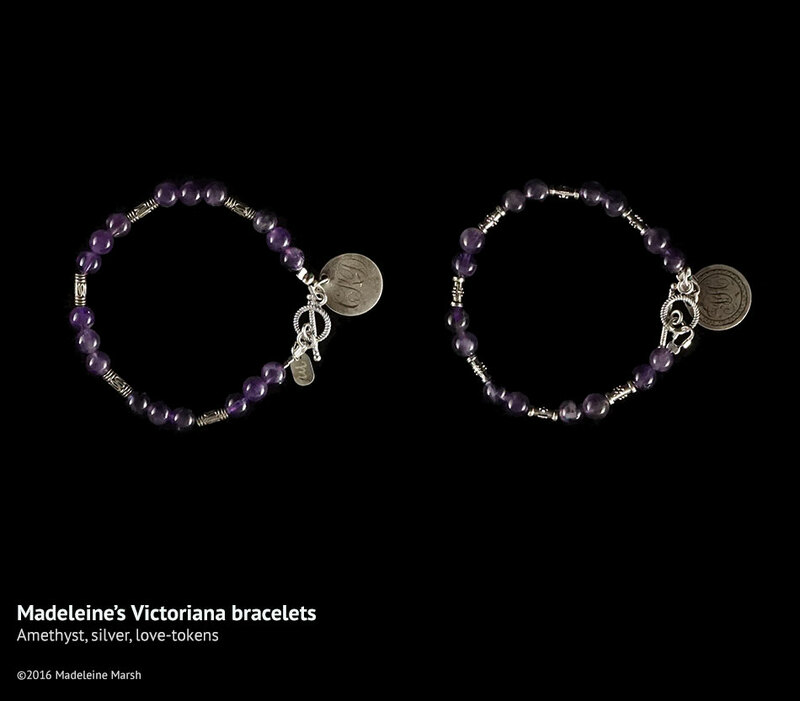 Silver coins were regarded as lucky and a number of the coins used in this jewellery were found ready drilled so that they could be worn on a Victorian lady’s bracelet or a gentleman’s watch chain. 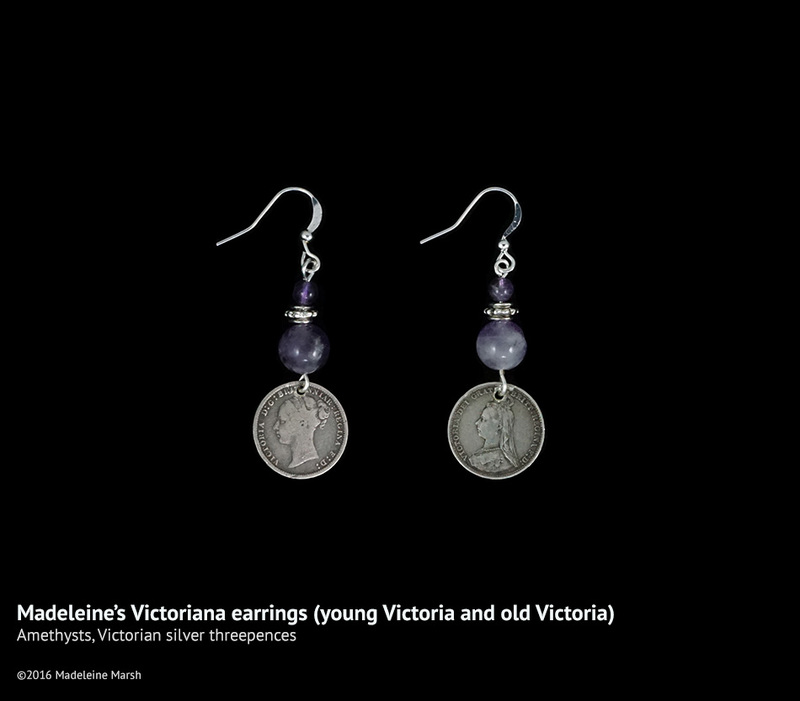 Some were clearly Victorian love tokens and are engraved with the name or initials of their original owner. 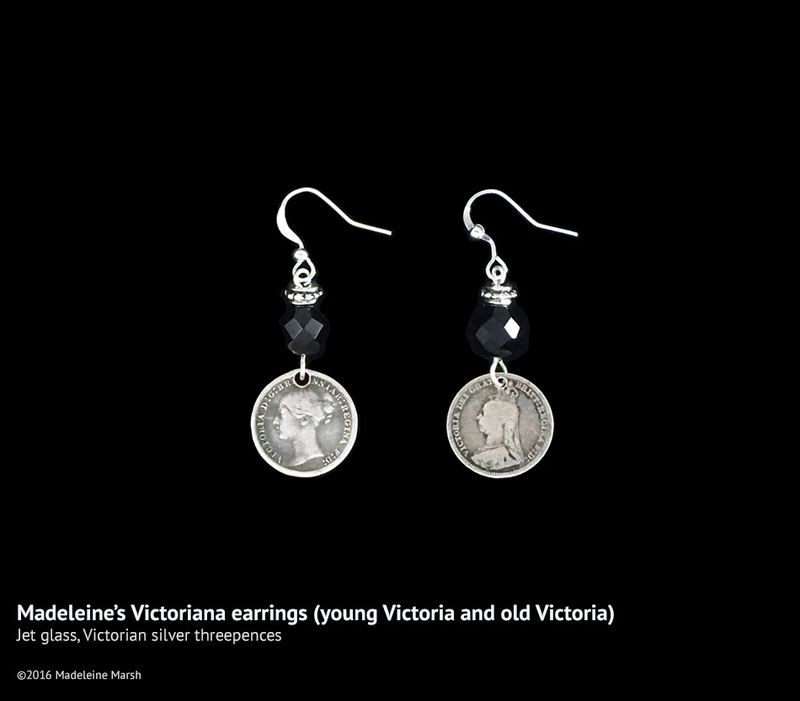 Lucky coins were also known as “touch pieces”- reflecting the fact that they had to be touched in order to transmit good fortune – hence their popularity as jewellery. 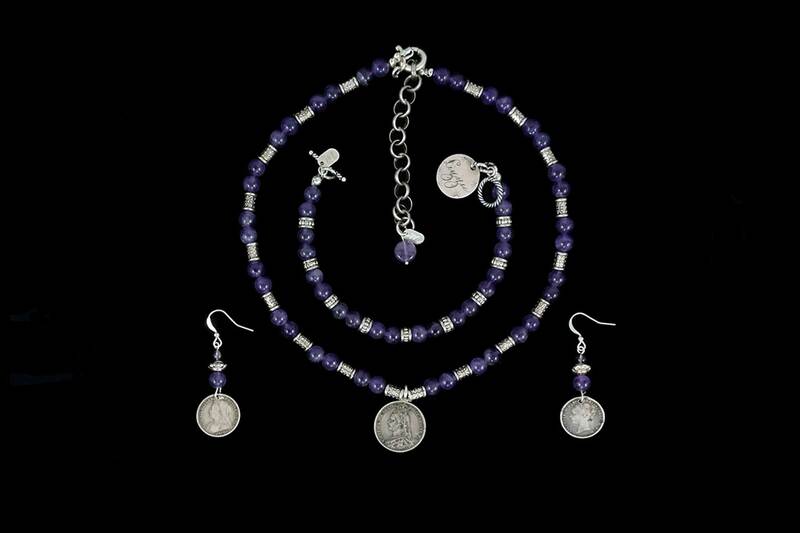 A silver coin was a traditional wedding gift alongside "something borrowed, something blue". 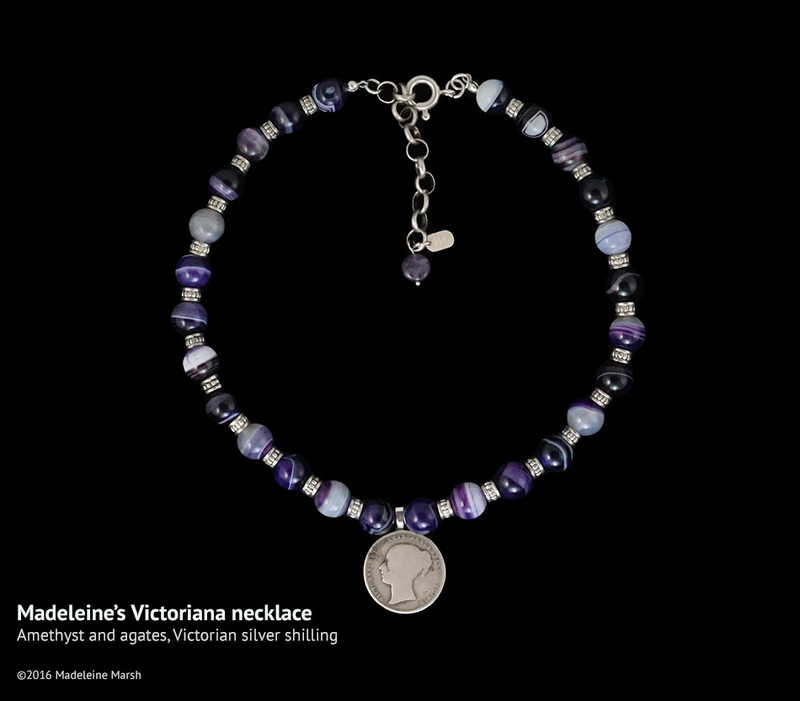 These 19th century coins are variously set on amethysts, French jet, agates, onyx – favourite stones and beads of the Victorian period. 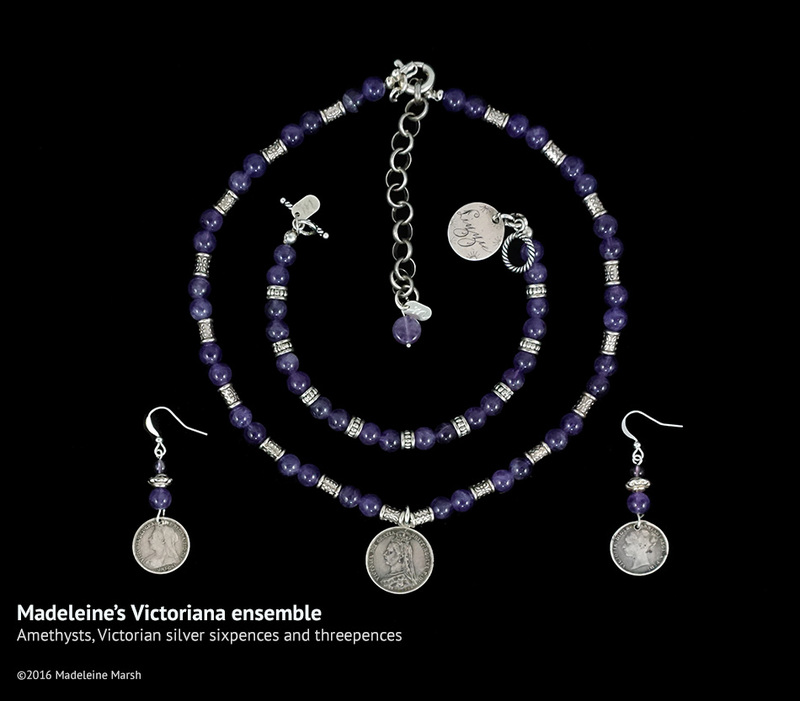 Black and purple jewellery could be worn during mourning and from Roman times onwards, imperial purple is traditionally the colour associated with monarchy.